Our technicians are qualified and insured to undertake inspections for termites treatment. The latest techniques, products, and instruments are used by our company when carrying out inspections and treatments. IF YOU FIND TERMITES – DO NOT DISTURB THEM – CONTACT A PROFESSIONAL CONSULTANT FOR FURTHER ADVICE. It is very important that regular inspections be carried out on your home and property for early detection of termite activity. Termite inspections will minimise building damage and expensive building repairs in the future. It is recommended by the Australian Pest Control Standards that termite inspections be carried out at least annually and more regularly in high risk situations. 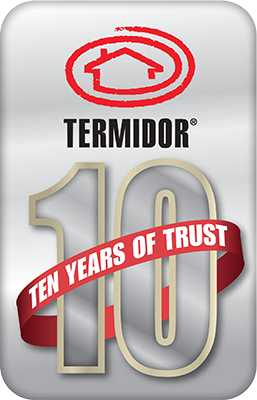 Contact us now to have an inspection carried out to Australian Standards by our licensed and experienced termite inspectors. Termites or “white ants” are social insects that work and live together in groups called colonies. 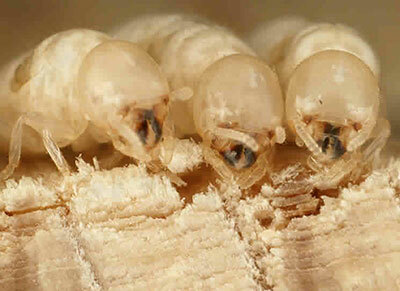 Worker termites are wingless, blind and do not reproduce. Soldier termites defend the colony against predators such as ants and do not reproduce. The winged reproductive termites are potential kings and queens of new colonies. These termites have eyes and wings and leave the main colony in swarms. They do not fly very far, and then shed their wings. A reproductive male and female will then pair off and form a new colony. Queen and soldier termites are unable to feed themselves, so food is exchanged through oral secretions from the worker caste. This means that if any individual termites are poisoned, the poison will be passed to their nest mates and a colony of termites may be destroyed without actually finding the nest. There are about 20 species of termites in Australia that are of economic importance in buildings. Most of the species of termites that damage timber in Australia are subterranean termites, which means termites which live under the ground. The most destructive species are Mastotermes Darwiniensis, Coptotermes species and Schedorhinotermes species. Tree-nesting and mound building termites found in urban areas do not usually infest sound seasoned timbers. Destruction of these nests does not protect buildings from attack by other colonies and species. It is therefore considered essential that regular inspection of your home should be carried out. Subterranean termites usually nest in the ground from which they build mud tubes over walls or piers (or any object in their way) to attack a structure from below. Termites inside a building usually need to maintain contact with the soil for moisture and with the main nest. If there is a permanent source of moisture available for the termites within the building (e.g. leaking plumbing, leaking hot water service outlet or leaking sprinklers too close to the building), it may not be necessary for the termites to have contact with the nest and soil. It is then possible that a nest can be established inside the building. Bathrooms and laundries are common places for termite infestations. If infested firewood or other material is brought into the house, subterranean termites can not form a nest as the connection with the main nest is broken. Winged (flying) termites entering a building does not generally result in nest establishment because moist and decayed timber is not usually available. Termite entry can occur at the slab edge, through cracks, joints and imperfections in the concrete or around service pipes. Places to look for termite mud tubes (tubes built from dirt and other materials) or termite damage include piers or stumps, subfloor area, foundations, skirting boards, architraves, cornices, mouldings and roof timbers. Watch out for these mud tubes in and around your house. Other things to watch out for are soft floor boards, bulging, staining or rippling of painted timbers. Termite damaged wood has a hollowed out sound when tapped, which will often indicate termite damage. Bits of dried mud and frass may fall from joints in walls when tapped, which can also indicate termite damage. 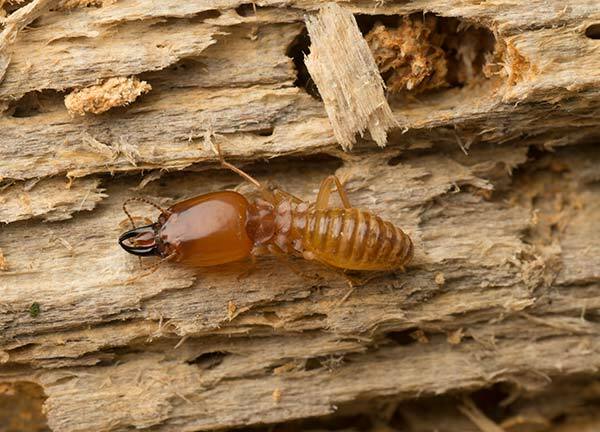 Some species of termites can make a “clicking” noise which is usually heard at night time. Regular inspections of your home should be carried out to Australian Standards by our licensed and experienced consultants and inspectors. Materials such as firewood should not be stored against the building for long periods. Built-up gardens and shrubs should not be planted too close to the perimeter of the building, obstructing the weep holes or creating insufficient slab edge exposure. Fix any moisture problems such as leaking pipes, shower recesses, leaking hot water service outlets, leaking sprinklers too close to the building, inadequate drainage or drains not connected to the stormwater. Ensure there is adequate subfloor ventilation. Remove untreated timbers that are in close proximity to the building. Construct retaining walls, fences etc with termite resistant materials. Have a termite management plan put in place, with installation of a chemical perimeter barrier or bait system for added protection. Click here for the photo gallery showing photographs of termite damage and nests found in buildings and homes. How Safe are Termite Treatments?